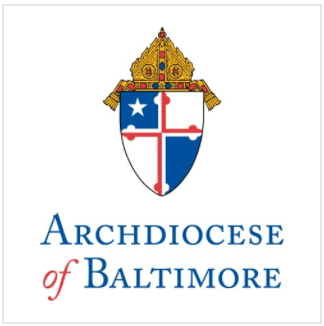 Cardinal-designate Edwin F. O’Brien, Apostolic Administrator of the Archdiocese of Baltimore and Pro Grand Master of the Equestrian Order of the Holy Sepulcher of Jerusalem, will speak to members of the media and Archdiocesan employees at a press conference January 25 at 11:30 a.m. at the Catholic Center, located at 320 Cathedral Street. The press conference will mark the first public appearance of the Cardinal-designate in the Archdiocese since his return from Rome and the announcement of his appointment to the College of Cardinals January 6. Cardinal-designate O’Brien will discuss the consistory, scheduled for February 18 in Rome, and accompanying pilgrimage, as well the recent ad limina visit and his scheduled trip to Haiti for the dedication of a new secondary school funded by Catholics in the Archdiocese of Baltimore. The ad limina visits take place approximately every five years to give heads of dioceses around the world a chance to report on the state of their dioceses. The visit involves small-group meetings between the Pope and regional American bishops. Auxiliary Bishops Mitchell T. Rozanski and Denis J. Madden were scheduled to attend the meetings with Cardinal-designate O’Brien. At the press conference, the Cardinal-designate is also prepared to discuss his trip to Haiti, January 26-30. During the visit to the Archdiocese’s sister diocese of Gonaives, the Archbishop will survey the progress of recovery since the devastating earthquake of 2010 and dedicate the new James Stine Secondary School, funded with support of the Stine family and others from the Archdiocese. More than $730,000 in additional support was raised by parishes and schools in the months immediately following the earthquake.